A recent study reveals that only 6% of small and medium sized businesses (SMB) in the US and the UK have a mobile optimised website, a surprising 45% do not have a site at all. Brandlective Communications believe it is time for businesses to adapt to the digital age if they want to remain competitive. According to a survey undertaken by local directory and advertising provider Hibu, almost half of US and UK SMBs do not have a website. Only 6% of respondents have a mobile optimised page. Stacey Kehoe, Director of Communications at Brandlective, finds these figures alarming and believes that SMBs are considerably missing out on revenue if they do not adapt to the current digital age. The Hibu study, conducted in November and December 2013, is based on a survey of 1,800 US and UK SMB respondents from a range of industries and business sizes. The survey reveals that US SMBs believe that in average they are losing out on annual revenue of around $60,000 by not having a mobile optimised website. UK businesses state that they may be losing out on more than £23,000 per year. Stacey Kehoe at Brandlective Communications says: “There seems to be a great gap between the awareness of making potential revenue through mobile optimised sites and acting on it.” In fact, collectively US SMBs believe that they may be losing out on a total of $1 trillion in annual potential revenue. Despite losing out significantly on revenue, only 12% of US and 13% of UK SMBs who do not currently have a mobile optimised website, say they are likely to get one within the coming twelve to 18 months. “It is hard to imagine how these businesses keep up with the competition considering the economical climate”, says Stacey Kehoe of Brandlective Communications. She believes that SMBs may not know where to turn in order to meet their digital requirements. “This is where we come in”, explains Stacey Kehoe. 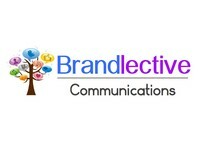 Brandlective Communications help businesses improve their online visibility and therefore generate more traffic to their websites through SEO and public relations. “Being present online and having a mobile optimised website have become obligatory for businesses”, says Stacey Kehoe. “Creating a public image online and being available to engage with potential customers from basically anywhere in the world create opportunities to increase loyalty and hence revenue as a result”, adds Stacey Kehoe. Looking at the mobile trend for the coming years, Brandlective encourage all SMBs that do not currently have a mobile optimised website to seek help and get started. Following new research, eMarketer expect 4.55 billion people worldwide to use a mobile phone in 2014. Out of those, 48.9%, more than 2.23 billion mobile phone users will go online with their mobile phone at least monthly in 2014.